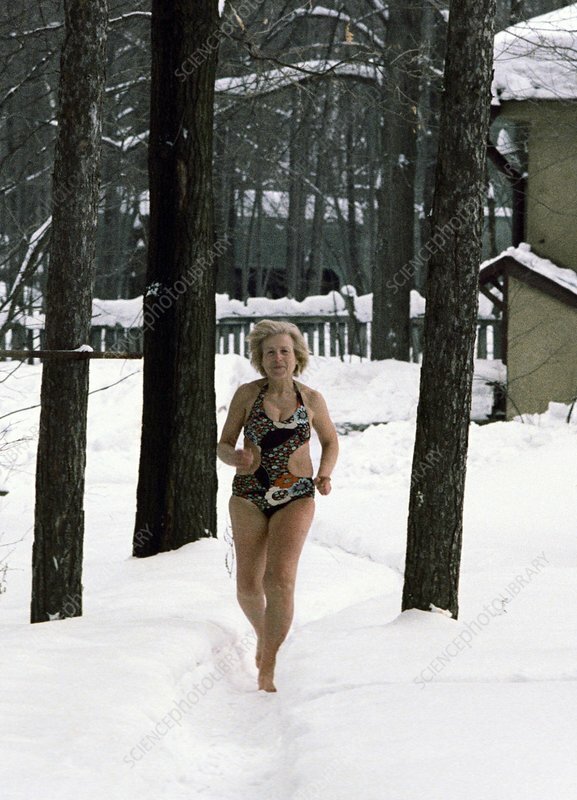 Galina Shatalova (1916-2011), Soviet-Russian physician, jogging in the morning. Shatalova was the proponent of a low-calorie diet through her Natural Health Improvement System. Photographed in 1987, in the Moscow region of Russia.